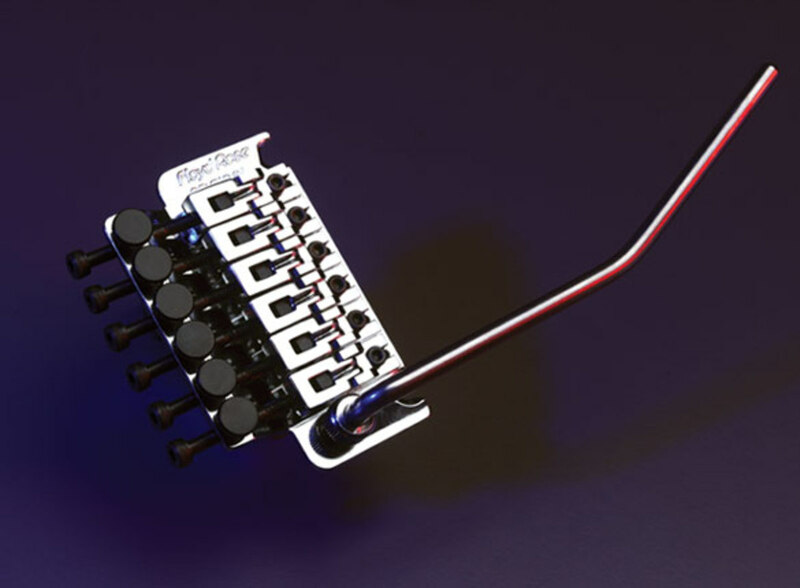 The Floyd Rose Locking Tremolo System is a smartly designed piece of gear. 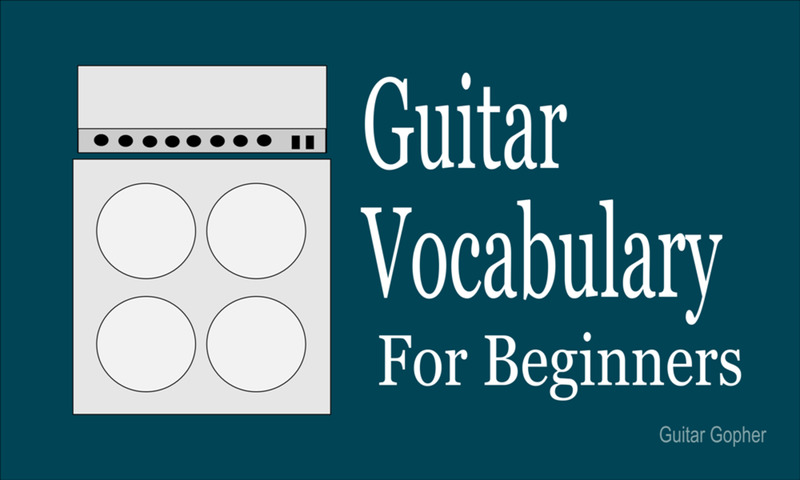 Some guitarists might even tell you it is one of the most important inventions in the history of the electric guitar. But like any work of genius it has its detractors as well. Guitar players are a demanding lot when it comes to their equipment, and most have an opinion one way or another when it comes to the Floyd Rose. As for me, I’ve always been a fan. But I also see why some players shy away from such a complex system. Guitarists need to weigh the pros and cons of the Floyd before choosing an instrument equipped with this powerful bridge. This article is intended to help you better understand how the Floyd Rose works, and to outline the advantages and drawbacks so you have the information necessary to decide for yourself if it is right for you. Of all the different types of guitar bridges out there the double-locking design is the only one that has the potential to seriously change the way you play guitar. For some guitarists this means a wider world, and the chance to explore exciting new ideas. For others, it becomes a crutch they rely on that hampers their playing. Do not go into this decision lightly! Here’s a look at the advantages and disadvantages of the Floyd Rose Tremolo system. The first step in deciding whether or not a Floyd Rose is important for your playing is to understand exactly what the thing does, and why it does it so well. This requires a step back in time, and a little history lesson. Back in days of yore (like, the ‘60s and ‘70s) the only tremolo systems available were fairly unstable except when used for simple vibrato techniques. In fact, that’s exactly the purpose for which classic bridges like the Fender Synchronized Tremolo and the Bigsby Vibrato were designed. No level-headed guitar player expected to be able to perform massive dive bombs and still have their instrument come back to pitch. Then Hendrix blew everyone’s minds, and Van Halen picked up where he left off, so before too long guitarists were bent on finding a way to get a Fender tremolo to stay in tune with aggressive use. You could have some success by managing string pull, or by using graphite and other lubricants at points of friction, but for the most part it was a losing battle. 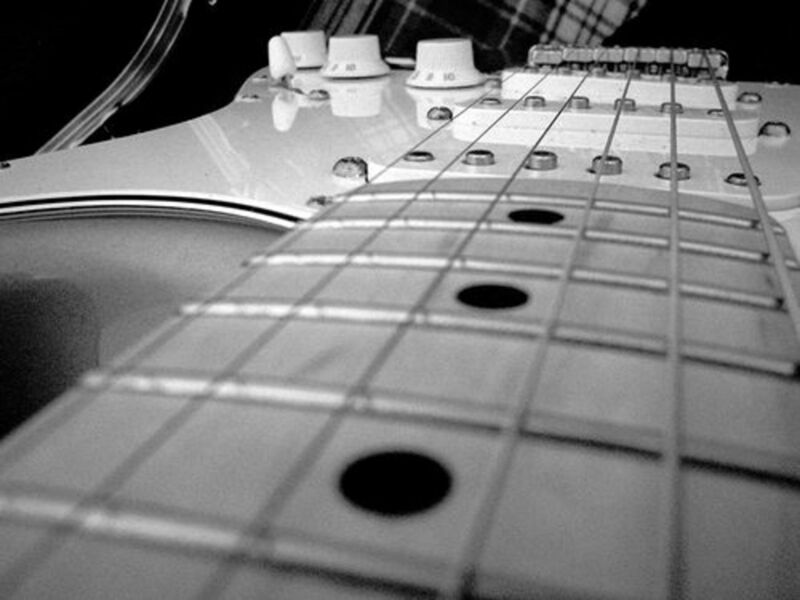 Friction is one big reason guitars go out of tune, even those with fixed bridges. Bending a note, or in this case manipulating a whammy bar, causes the string to stretch, slacken and move. At places where the string contacts parts of the guitar (such as the nut and bridge) it can get hung up and not return to its original spot, thus slightly altering tension on the string. Even a difference of a couple of millimeters means the guitar is now slightly out of tune. In the 1970s a guitarist and jewelry maker named Floyd Rose set out to build a system that eliminated the friction issues which caused a string to go out of tune when using a tremolo bar. The locking nut design is a key feature of the Floyd Rose System. 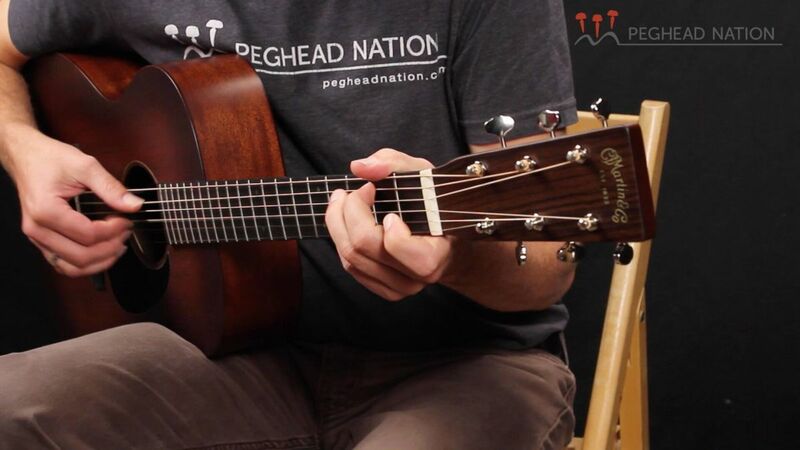 Since the nut is one of the main places a string will get hung up, altering the basic nut design altogether goes a long way toward maintaining tuning stability. Rose solved the problem by sandwiching the strings between two pieces of steel, tightened down by bolts. Instead of allowing the strings to move over the nut, this holds them in place. The strength and quality of the clamping mechanism itself is important, but just as important is the fact that this unit actually replaces the nut. Note the position of the Floyd Rose locking nut in the image on the left below. The design of the locking nut is a major reason the Floyd Rose Tremolo System is so effective. This is one “lock” in the double-locking system. The second lock is at the bridge. The Floyd Rose Bridge functions in a similar way as other pivot tremolo bridges. Two adjustable screws mounted on the body of the guitar create a fulcrum along with the plate of the bridge itself. Springs within the guitar’s body cavity counteract the tension of the strings. Thus, pulling and pushing on the tremolo arm changes the tension on the strings, causing notes to go sharp or flat. Traditionally, the bridge is another place where friction can cause a string to get hung up, and the guitar to go out of tune. Rose solved this to a great degree by locking the string in place via clamps and adjustable hex screws, and softening the break where the string passes over the bridge. In conjunction with the locking nut, this is the revolutionary “double lock” that changed the way guitarists looked at the whammy bar. The strings can’t budge, not at the bridge or the nut, and in theory once they are brought to pitch they should stay in tune even under extreme duress. There is only one advantage to the Floyd Rose System: It works. It works really, really well. Set up correctly, a guitar with a Floyd can take a huge amount of abuse without going out of tune. Pull notes sharp as far as you can, or mash the tremolo arm against the guitar body, and the strings will still come back to pitch. Of course it has limits, and after a while you will have to retune your guitar, but more than any other tremolo system the Floyd remains rock solid. So what does this mean to you? It means if you are into styles of music that tend to incorporate a lot of guitar tricks and whammy bar work, this is your best bet. Shredders and metal guitarists especially will appreciate how this bridge stands up to the abuse they can dish out. That said, I’ve seen players in more subdued forms of music such as blues and jazz use double-locking tremolos as well. They don’t need anything more than simple vibrato, but the extra insurance when it comes to tuning stability is worth it. Bottom line: If you intend to use the tremolo bridge a great deal in your style of play, you should seriously consider a guitar with a Floyd Rose. So if these things are so great, why aren’t they standard issue on all guitars? As it turns out, there are some negatives here as well. Basically, because double-locking tremolos are more complex than other bridges they require a little more attention. You can’t take your guitar to the shop every time something needs to be adjusted. You are going to need to learn to solve problems yourself. 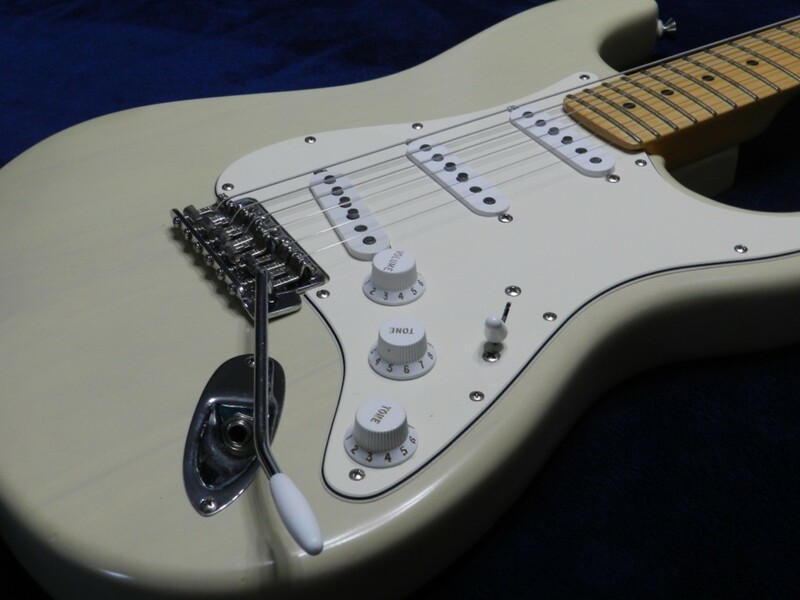 Once you get the hang of it they aren’t hard to maintain, but there is definitely more work involved than with a more traditional bridge or tremolo system. Changing strings is more involved, and some tweaks and adjustments to the whole system likely will be necessary each time. The locking nut means you can’t change your tuning as easily. You need to unlock the strings first, and then possibly adjust the entire bridge system, depending on how severely you intend to alter you tuning. 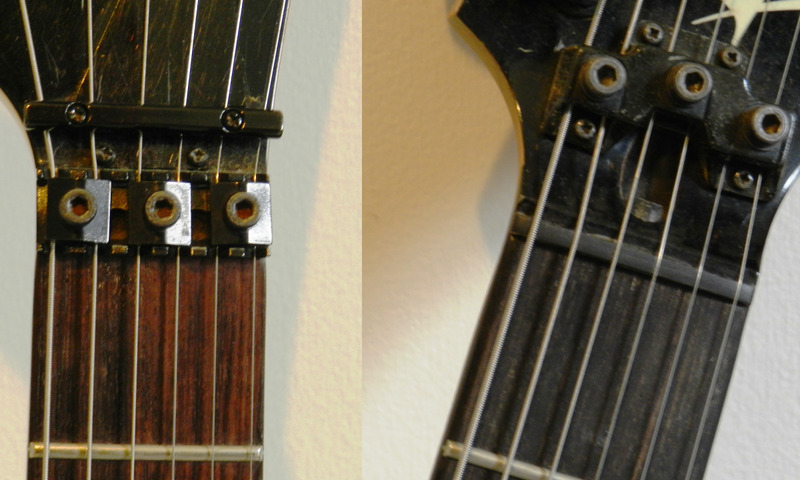 Sustain is sometimes an issue with guitars equipped with a Floyd, especially compared to a fixed bridge. Your strings are highly interdependent with a Floyd Rose. This is true of all guitars to some extent because of string vs neck tension, but it is amplified here. That means if you break a string in mid-song your tuning goes out of whack. Setups are more complicated. You should learn to do it yourself, but taking your guitars to a tech for a tune-up once a year isn’t a bad idea either. Do You Need a Floyd Rose? To figure out whether or not you need a guitar equipped with a Floyd Rose Tremolo System you need to decide whether the benefits outweigh the hassles. Does the ability to perform massive dive bombs and wild guitar tricks, or does simply the peace of mind knowing you instrument will stay in tune, outweigh the time and patience required to keep the bridge in good working order? For many players the answer is a resounding Yes! Maybe wild whammy bar work is an important part of the kind of music you are into, but that doesn’t mean you have to follow the crowd. In fact, for beginners I usually recommend sticking with a hard-tail bridge. Learning guitar is hard enough without having to figure out why a tremolo bridge isn’t cooperating. It’s also important to mention that there are other bridges out there that have built on the double-locking design. Ibanez, for example, has some excellent hardware on their guitars these days, made by them exclusively for their instruments. For me, an authentic Floyd Rose is the way to go, but some excellent guitar companies incorporate licensed models on their guitars as well. If you choose to go the licensed route do your research and make sure you are getting quality gear. I was raised in the ‘80s on old-school metal, hard rock, thrash and shred, during the golden era of the gunslinger guitarist. I’m a huge fan of the Floyd Rose and always will be. I hope this article helped you to understand whether or not you will become a fan too! 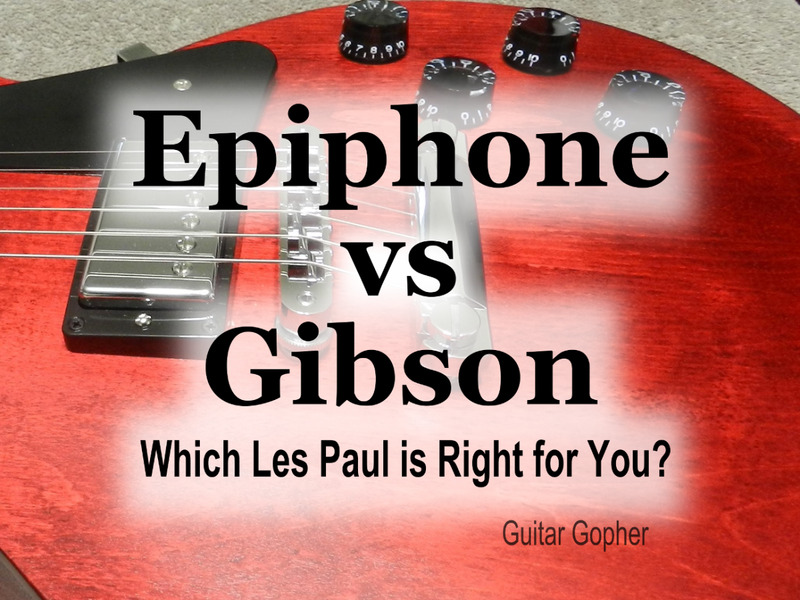 Which statement best reflects your thoughts on the double-locking tremolo? Love it. Need it. Gotta have it. Useful on occasion, but I prefer a guitar with a more traditional bridge. I like it, but don't use one because they are too much hassle. In the disavantage, I would add the fact that the strings tend to be tighter, so harder to play. Great article! I have a Floyd Rose on my Vantage Guitar and love the fact that it stays in tune on stage even when the temperatures change during the set. When you do the sound check and then wait to go on stage it's so good to know that you don't have to faff around tuning up and can just smash the first tune out.